The Defense Industries Organization (DIO) is a conglomerate of companies run by the Islamic Republic of Iran whose function is to provide the military of Iran with the necessary manufacturing capacity and technical abilities. In recent years, the DIO has attempted to become export-oriented, allowing Iran to become an exporter of weapons. According to Iranian officials, the country sold $100 million worth of military equipment in 2003 and as of 2006 had exported weapons to 57 countries. Prior to 1963, the Iranian military industry consisted of a number of independent factories. Iran's military industry was born under the last Shah of Iran, Mohammad Reza Pahlavi. In 1973, the Iran Electronics Industries (IEI) was founded to organize efforts to assemble and repair foreign-delivered weapons. Most of Iran's weapons before the Islamic revolution were imported from the United States and Europe. Between 1971 and 1975, the Shah went on a buying spree, ordering $8 billion in weapons from the United States alone. This alarmed many in the U.S., which strengthened a 1968 law on arms exports in 1976 and renamed it the Arms Export Control Act. Still, the United States continued to sell large amounts of weapons to Iran until the 1979 Islamic Revolution. In an early effort to overhaul Iran's military capabilities, Mohammad Reza Shah ordered the creation of the Military Industries Organization (MIO). Operating as a branch of the Ministry of War, the MIO was to oversee all military production within Iran. Over the next fifteen years, military plants produced small arms ammunition, batteries, tires, copper products, explosives, and mortar rounds and fuses. They also produced rifles and machine guns under license from West Germany. In addition, helicopters, jeeps, trucks, and trailers were assembled from imported kits in attempts to transfer technical knowledge to Iran. Additionally, the organization was charged with research and development and took the initiative in reverse engineering a number of Soviet RPG-7, BM21, and SAM-7 missiles in 1979. The outbreak of the Iran–Iraq War in 1980 and the Western arms embargo served as a massive catalyst for the MIO to reorganize its operations. In late 1981, the new revolutionary government of Iran brought together the now disorganised sections of the MIO and placed them under the Defense Industries Organization. The DIO would from this point onwards supervise all production, research and development. The Islamic Revolutionary Guards Corps was put in charge of re-organising the domestic military industry. Under their command Iran's military industry was dramatically expanded, and with the Ministry of Defence pouring capital into the missile industry, Iran soon had an arsenal of missiles. In 1987, the DIO was governed by a mixed civilian-military board of directors and a managing director responsible for the actual management and planning activities. Although the DIO director was accountable to the deputy minister of defense for logistics, it was the president of Iran, in his capacity as the chairman of the SDC, had ultimate responsibility for all DIO operations. Since 1992, it also has produced its own tanks, armored personnel carriers, missiles, a submarine, and a fighter plane. Today, the DIO has more than 35,000 employees, 30% of whom are university graduates. It is also the key organisation driving Iran's significant military industry. In 2007, following events in Iran's Nuclear Program, the United Nations Security Council placed sanctions against Iran forbidding it from exporting any form of weapons. ↑ Irna Archived February 4, 2012, at the Wayback Machine. ↑ Irib Persian News Page Archived February 13, 2008, at the Wayback Machine. 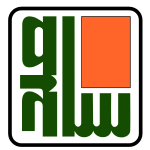 ↑ Irib Persian News Page Archived September 27, 2007, at the Wayback Machine. ↑ "NTI: Country Overviews: Iran: Missile Chronology". Archived from the original on June 18, 2009. Retrieved November 11, 2014. ↑ A Code of Conduct for Weapons Sales Video Transcript Archived March 8, 2006, at the Wayback Machine. ↑ "Defense Industries Organization (DIO) - Iran Special Weapons Agencies". www.globalsecurity.org. Retrieved 2015-01-17. ↑ Dar Al Hayat Archived June 23, 2006, at the Wayback Machine.